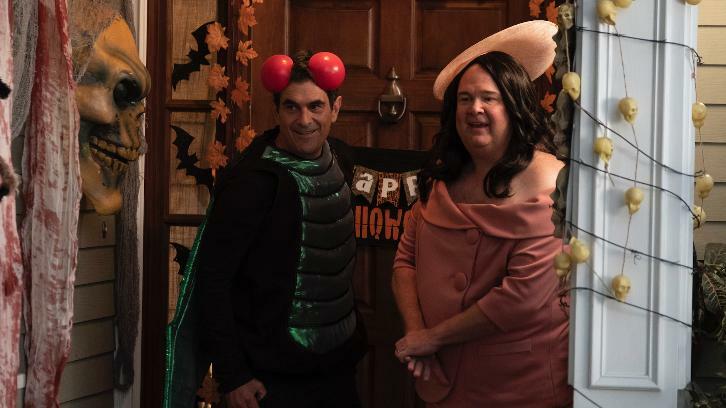 “Good Grief” – It’s another epic Halloween full of costumes, tricks and treats for the Dunphy-Pritchett-Tucker clan as they deal with huge, unexpected news, on “Modern Family,” WEDNESDAY, OCT. 24 (9:00-9:31 p.m. EDT), on The ABC Television Network, streaming and on demand. Guest starring is Jimmy Tatro as Bill. “Good Grief” was written by Vali Chandrasekaran and Stephen Lloyd, and directed by Beth McCarthy Miller.